Tomorrow the 140th Jerome will be run. 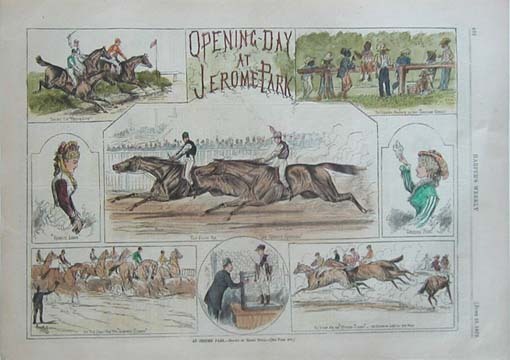 Inaugurated in 1866, the race was first run at Jerome Park, the race and the track honoring the man who was something of a New York racing magnate in 19th century New York. Among the features of Jerome Park…was a clubhouse on the order of a luxury hotel. Besides spacious dining rooms and a magnificent ball room, there were facilities for sleighing, trap shooting, skating and, later, polo. Overnight accommodations were also available, and it was quite the fashion for an owner to entertain his friends at a lavish ball, after which they could spend the night in the clubhouse and watch the morning gallops the next day. Quite the fashion, indeed. I accept! Manhattan’s fairest daughters viewed the racing in a display of costume that caused old-fashioned people to stare at this exhibit of the “wealth of nations,” visiting, as at the opera, among the boxes. Then, for the great race of the day, the ladies and their escorts would descend the hill to the members’ stand, and all was eminently gentle and well bred. 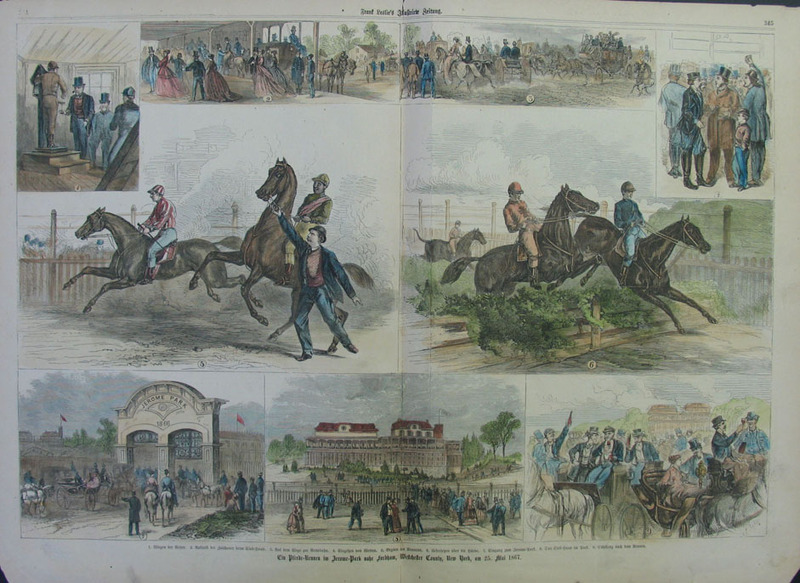 A feverish interest is felt in all sporting circles in the approaching inauguration of the superb course at Jerome Park…Racing is fast becoming with us a national sport, and not only a sport but a matter of marked interest and general participation. The evils attending it are such as can be remedied by good management and prompt policemen. If the parties in charge of a race or a race track are men to whom the improvement of stock, the sport and the excitement are the object, rather than the turning into selfish pockets a few thousand dollars, it is obvious that for their own credit, reputation and self-respect they are bound to insure order and preserve decorum about the grounds. Fate smiles upon the American Jockey Club. Its inaugurative meeting opened with a success unprecedented in the annals of American turf…As a mere popular success it was complete; as a record of turf intelligence it was most interesting; as an event in the progress of reporting it opens an era. 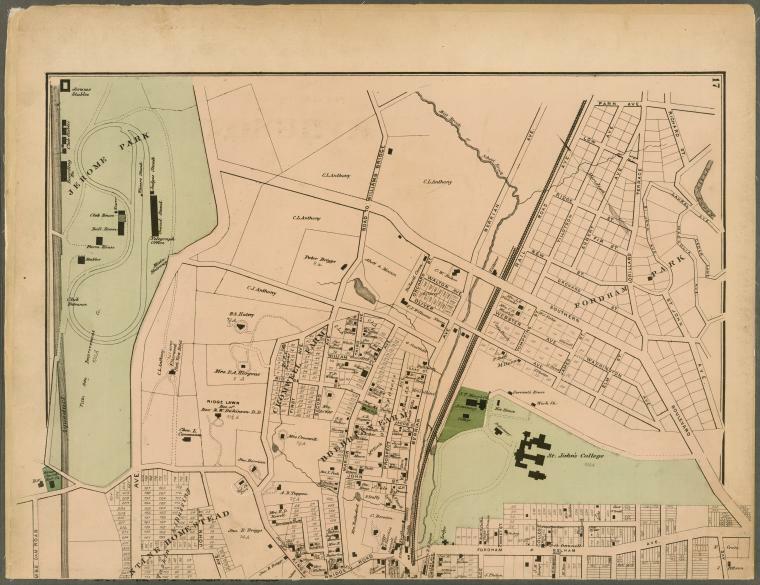 Jerome Park existed only for 28 years; New York City purchased it and built a reservoir on the land, and in 2009, the Times wrote a story on the contemporary financial implications of Jerome Park. Remarkably, interest is still being paid on bonds issued in 1868 to build a road to the racetrack. The story also contains a terrific slideshow with images of the track. Click here for a previous BB post on Jerome. Jerome Park grandstand photo, Picture History. Jerome Park judges and pooling stand photo, Wikimedia Commons. Jerome Park opening day, Prints Old and Rare. Jerome Park photo, Prints Old and Rare. 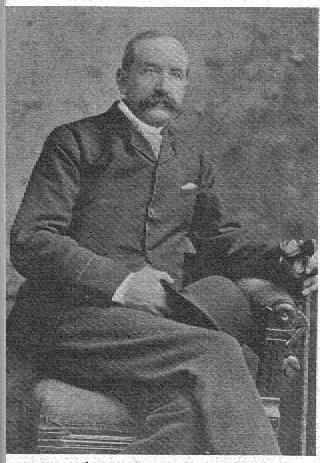 Leonard Jerome portrait from The History of Thoroughbred Racing in America by William. H.P. Robertson. McGinty, Jo Craven. “That’s What You Call Investing for the Long Term.” Nytimes.com. New York Times. 12 Feb 2009. Web. Robertson, William H.P. The History of Thoroughbred Racing in America. Bonanza Books, 1864. “Sporting Matters: Great Inauguration Meeting at Jerome Park To-morrow.” Nytimes.com. New York Times. 24 Sept 1866. Web. “Sporting Matters: Racing at Jerome Park.” Nytimes.com. New York Times. 22 Sept 1866. Web. “The Jockey Club Meeting: The First Day’s Races.” Nytimes.com. New York Times. 26 Sept. 1866. Web.